It’s never too early to start booking your holiday festivities in Lake Oswego. Popular events like the Tinseltown Trolley, Holiday concerts at the Lake Theater and Holidays Around the World school’s-out camp sell out quickly. So start making a list and book the festivities that require reservations. Luckily there are lots to choose from–so many that I’m covering them over two different weeks. Here’s the first installment. Lakewood in City Lights. This annual event is returning to downtown Portland to the Sentinel Hotel. Enjoy dinner catered by Jake’s Grill, entertainment, and silent and oral auction. Attendees who don’t want to drive can take a coach from Lakewood’s parking lot to the event ($20/person) or choose to make a night of it and stay at the hotel at a special rate. Saturday, November 18 from 5:30 p.m. to 89:30 p.m. Tickets are $100/person and can be purchased at the box office, online or by calling 503.635.3901. Reunion Farmers Market. Local farms bring autumn’s bounty to downtown Lake Oswego. Enjoy shopping in the crisp fall air and pick up some fresh ideas for your Thanksgiving feast. Saturday, November 18, from 10:00 a.m. to 2:00 p.m. Millennium Plaza Park, First and Evergreen. Horse Drawn Wagon Rides. Here’s another opportunity to slow the season down and take in the sights as you ride through downtown Lake Oswego and the First Addition neighborhood while the Reunion Farmers Market is taking place. Saturday, November 18 from 10:00 a.m. to 3:00 p.m. Limited reserved seating ($8/Adults; $5/Youth) is available by contacting jinglis@lakeoswego.city or 503.675.3985. The rest of the seats are first come, first served: $5/adults; $3/children. Rides are scheduled every 20 minutes from Millennium Plaza Park, 200 First Street. Lake Oswego Arts Council Holiday Gallery. Finding the one-of-a-kind gift starts here where local artists from all media bring their handcrafted work for you to choose from. Things kick off at 4:00 p.m. on Thursday, November 24 and run through 6:00 p.m. Saturday, December 23. Regular museum hours are 11:00 a.m. to 4:00 p.m. Tuesday through Friday. 510 Museum and ARTspace, 510 First Street. 503.675.3738. 53rd Annual Tree Lighting Ceremony. Enjoy one of Lake Oswego’s longest standing traditions which includes tree lighting, caroling, treats, and a visit from the big guy decked out in red and white. Friday, November 24 at 5:30 p.m. Begins at Bigelow Plaza on the corner of 5th and A Avenue and proceeds down to Millennium Plaza Park. Michael Allen Harrison and Friends Holiday Show. Michael Allen Harrison calls on Julianne Johnson and his Super Band to help ring in the holiday spirit. Monday, November 27 from 7:00 p.m. to 9:00 p.m. Lake Theater and Café, 106 N. State Street. $20/General Admission; $130/VIP table for four. Buy tickets online. Dennis’ 7 Dees Reindeer Magic. Bring the kids to meet Santa and his reindeer. New this year is ticketed admission ($5 for everyone older than one) which gives you access to view and take pictures with the reindeer, ride the holiday train, sit on Santa’s lap, enjoy holiday music and other festivities. 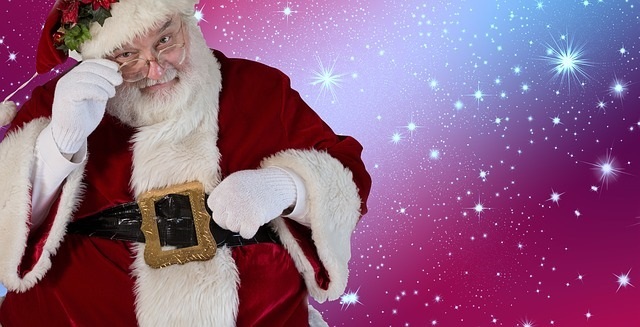 There are additional costs for some activities like face painting, food and beverages and professional pictures with Santa. Bring new and used blankets to donate to the Human Solutions Winter Shelter. Tickets are on sale online now until sold out. Saturday, December 2 from 10:00 a.m. to 5:00 p.m. Lake Oswego Garden Center, 1090 McVey Avenue. 503.636.4660. Tinseltown Trolley. It’s Lake Oswego’s version of the Polar Express. Hop aboard and let your imaginations soar as you enjoy carols, story time, treats and more! Saturday and Sunday, December 2 and 3 with rides leaving at 1:00 p.m., 2:15 p.m., 3:30 p.m., 4:45 p.m. and 6:00 p.m. Reservations required and tickets sell out fast. Tickets are $18/Adults; $15/Youth 12 and under. 503.675.2549. Holiday Magic Breakfast Theatre. Enjoy a special holiday continental breakfast ½ hour before the curtain goes up for this holiday production featuring area high school student performers. Geared for ages 3-12. Performances are December 2, 10, and 17 at 11:30 a.m. and December 9, 16, 22, and 23 at 9:30 a.m. and 11:30 a.m. in the Lakewood Center Community Meeting Room at the Lakewood Center for the Arts, 368 S. State Street. Advance reservations are required by purchasing tickets either online, at the box office or by calling: 503.635.3901. Fee: $15/adults; $12/youth 18 and under. Holiday Card Workshop. Get the inspiration, materials and guidance to create personalized greeting cards for your family and friends. Wednesday, December 6 from 9:30 a.m. to 11:30 a.m. at the Lake Oswego Adult Community Center, 505 G Avenue. Registration: $24/Residents; $36/Non-Residents. Sign up for Class #16234. Holiday Gift Show at Oswego Heritage House. Get your holiday shopping done early and local with selections that include hats, jewelry, puppets, wine and more. Wednesday, December 6, 2:00 p.m. to 8:00 p.m. Oswego Heritage House. 398 10th Avenue. 503.635.6373. Gingerbread House Workshop for ages 6-13. Who needs a boxed kit when you can bake your own gingerbread? Luscher farmhouse Chef Laura Content will help kids bake gingerbread, decorate a keepsake house and send them home with dough to bake. They’ll finish up by making holiday cards. Saturday, December 9 (#16454) and Sunday, December 10 (#16455) from 9:00 a.m. to 12:00 p.m. at Luscher Farm, 125 Rosemont Road. $52/Resident; $78/Non-Resident. Register online. Don’t miss out on Part 2 of this blog. Click the “Sign me up” button in the right hand column and receive it in your inbox. This entry was posted in Holidays in Lake Oswego, Things to Do in Lake Oswego and tagged Christmas, Christmas tree lighting in Lake Oswego, Holiday Activities in Lake Oswego, Horse drawn wagon rides in Lake Oswego, Lake Oswego Oregon. Bookmark the permalink.